Effectively advertise your business with a portable business sign. The 40" x 96" sign is lighted and UL approved. 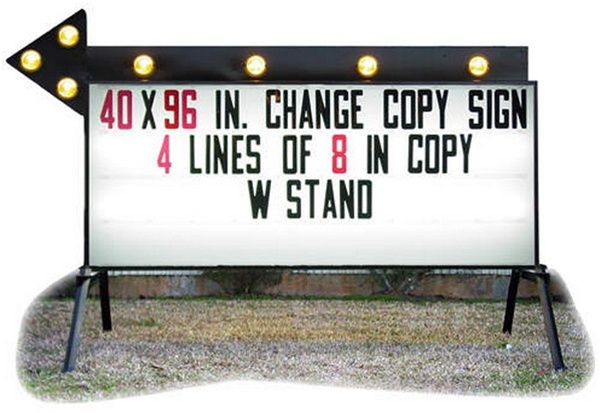 The double-sided reader board features polycarbonate panels that hold four lines of standout 8" sign letters. 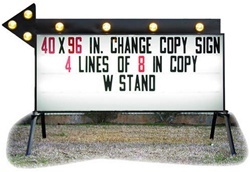 Sign comes with 150 letters and portable stand. See our other listings for extra set of 150 letters, they will be needed if you want to put any long sentence or multiple lines of message.